Annual Book and Bake Sale – held in October. Christmas Flea Market – held in November. Class Visits – both at the school and library. Computer Classes – held throughout the year. 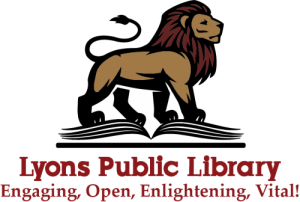 Hobby Circle – 1st & 3rd Thursdays – 1 – 3 p.m.
Jigsaw Puzzle Swap – 1st Monday at 3 p.m.
Lego Lab – 1st Wednesday – 3 p.m.
Summer Reading Clubs – for children, teens, adults. Tech Time Drop In – Every Wednesday from Noon-4 p.m.
Toddler Tales – 2nd & 4th Wednesdays at 6:30 p.m.
Tours of the Library – Available upon request. Tween Time – 3rd Wednesday – 3 p.m.
Winter Film Series – Saturdays at 2 p.m. The Library also holds many special programs throughout the year as well, such as concerts, crafts, lectures, poetry readings, etc.